Laurel (Laurus nobilis) is an evergreen tree grown for its leaves, which are used as an aromatic herb in many recipes. 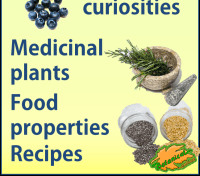 In herbal medicine it has digestive, expectorant, astringent and antiseptic properties. 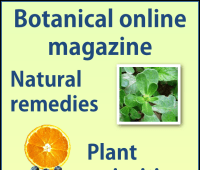 It is very common in any garden of medicinal plants. Mature trees can reach up to 15 m. high. It is used as garden tree for trimming hedges and as a medicinal and aromatic plant. Evergreen tree of Laureaceae family, a relative of cinnamon. Entire, alternate, lanceolate, leathery, shiny leaves, with wavy margin. Unisexual flowers; Male ones with 8-14 stamens; female with 4 petals. All of them yellow and gathered in axillary umbels, with short peduncle. It blooms from mid winter to mid spring. Laurel is a usually cultivated tree, but it also appears naturalized in cool, damp places. It does not tolerate frost. 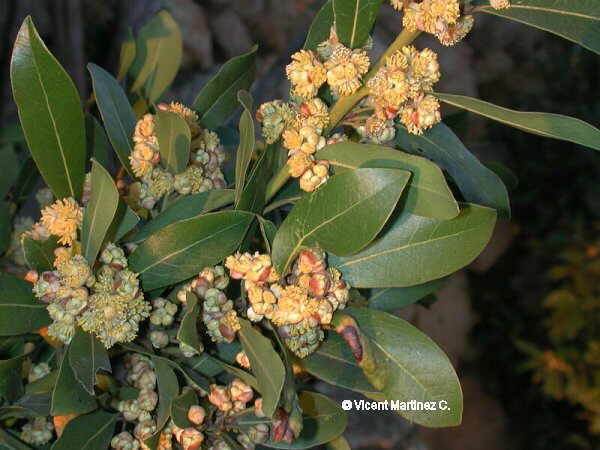 Laurel tree prefers warm or temperate climates with a sunny and sheltered exposure. 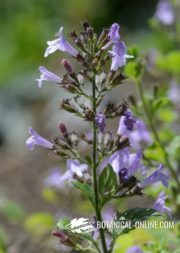 It can be planted in full sun or in partial shade. Plant it in a place protected from drafts and sheltered from strong winds. Water it moderately. It resists drought very well. 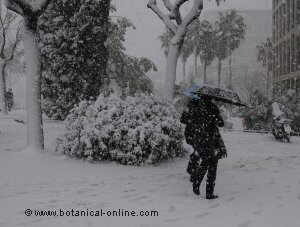 Irrigation should be less frequent in autumn and winter. Over-watering can cause root rot or produce yellow leaves. Sometimes a few yellow leaves appear on trees that are adapting to new ground or sites. The ground should not be flooded not to promote root rot. 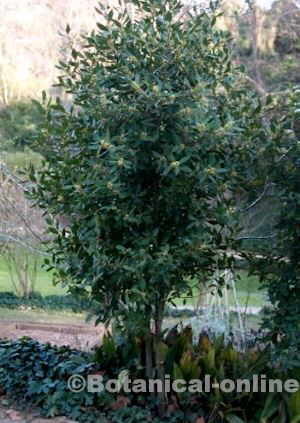 Laurel tree needs a well fertilized and well drained soil. It is moderately tolerant to dry soils. It can be planted on slopes. 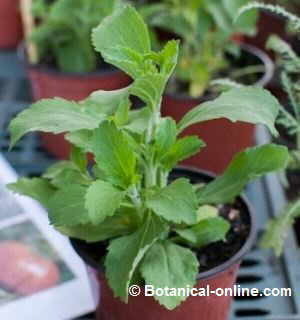 It is reproduced by cuttings cut in spring and planted once they have produced roots in summer. They are slow to grow. It is better to grow it in pots during the first year and then transplant it.. Pruning and removing suckers will favor its growing. 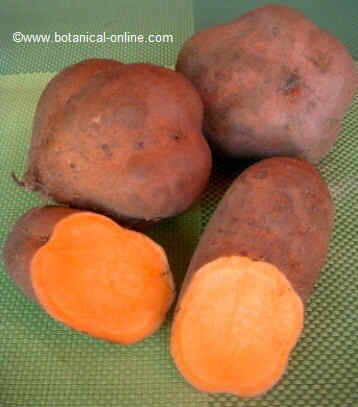 Cuttings are obtained from an adult (about 3 years old) and healthy specimen. To this end, a cutting of about 15 cm is cut. Choose a young branch, next to a bud, and remove most leaves. Then, with a clean knife, make a clean cut at the base so to have more surface contact between the sap of the plant and the soil. Plant the cutting in a pot and take care to mantain it wet. Look at the proper temperature and light, until it takes root in about 15 days. The soil should never be dry or exposed to full sun. Protect from cold, frost, excessive humidity and strong winds. Transplant it the following spring. 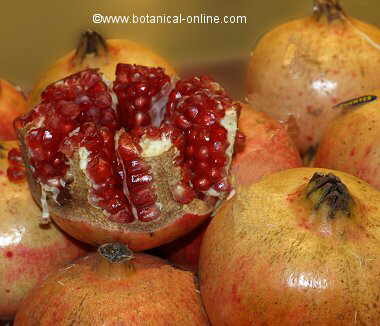 It can also be reproduced by seed, but this is unusual because it is a very slow method of reproduction. Laurel leaves are harvested throughout the year as they are needed. To save them, catch leaves with clean hands and dry them in a dark, cool, dry place for about 15 days. Then, they ca be stored in glass jars. It is recommended not to keep them more than 1 year. If they dry in the sun, the leaves will turn brown. 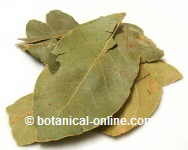 Laurel leaves have an essential oil that is rich in cineol. Laurel fruits are toxic and should not be eaten. – Cochineal: Mealybugs are the second most important plant pest, after aphids. In the bay, they are characterized by having small yellow or white specks, and they are one of the most common pests of these trees.